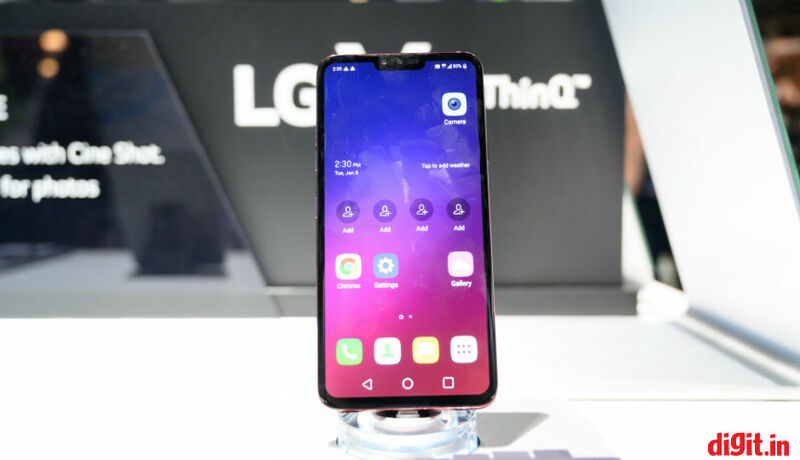 LG has silently launched last year’s flagship device, LG V40 ThinQ, in India. The device was first unveiled in October and never made it to India, but Amazon.in has now listed sale details for the smartphone on the platform. Customers will be able to purchase the LG V40 ThinQ starting January 20 exclusively on Amazon. Prime members will get early access to the device starting January 19. The price of the phone has not been listed on the website, but some offers have been outed. Those purchasing the LG V40 ThinQ using an HDFC Debit or Credit card will be eligible for a 10% instant discount. Amazon is also offering free screen replacement worth Rs 16,750 with the purchase of the phone, along with No Cost EMIs for upto 12 months and added exchange offer of upto Rs 5,000. The LG V40 ThinQ comes loaded with flagship grade specifications. The phone gets a 6.4-inch QHD+ OLED FullVision display with 3120×1440 resolution, protected by Corning Gorilla Glass 5 and a 19.5:9 display aspect ratio. The key highlight of the phone is that it gets five cameras in total, three on the rear and two on the front. The smartphone runs on last year’s Qualcomm Snapdragon 845 processor coupled with 6GB of LPDDR4X RAM and 128GB of UFS2.1 internal storage. The internal storage on the phone can be expanded up to 2TB via a microSD card. It also features IP68 water and dust resistance with Military-grade (MIL-STD-810) certification. 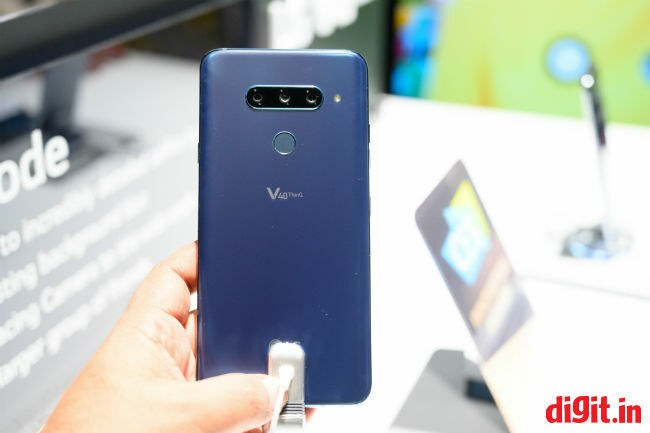 Coming to the V40 ThinQ’s main attraction, the phone features a triple primary camera setup with a 78-degree standard, a 45-degree telephoto zoom, and a 107 degree super wide-angle lens. What’s unique is that one can capture an image in all the three modes with a click. The standard main camera features a f/1.5 12MP sensor with 1.4µm pixels, which is larger than the 1.0µm pixels of the LG V35 and the LG G7. The main camera supports Optical Image Stabilization (OIS) and Dual Pixel AutoFocus. The telephoto lens is paired with a 12MP sensor with f/2.4 lens, while the wide-angle lens gets a 16MP sensor. At the front, the LG V40 ThinQ gets a dual camera setup with an 8MP, 26mm standard lens paired with a 5MP, 21mm wide angle lens. The cameras on the phone also use AI for composing shots by recognising people in the frame and helping users frame the image using “rule of thirds” composition. The entire package is powered by a 3300mAh battery and the handset supports fast wireless charging and Quick Charge 3.0. There’s also a BoomBox speaker and a 3.5mm audio jack on the phone, which can relay audio via a 32-bit Quad DAC.